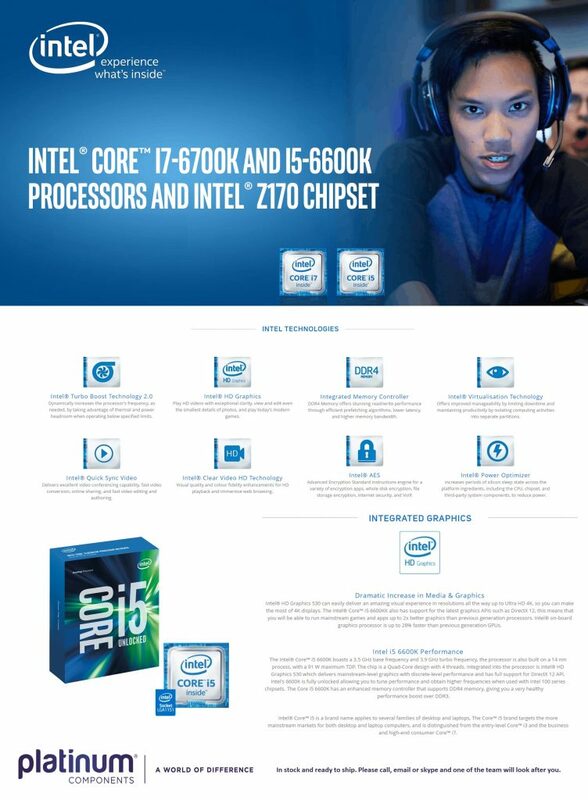 Intel I5-6600k in stock – Special price available! Platinum Components » News, Slider, Uncategorized » Intel I5-6600k in stock – Special price available! Game, Record, Stream. Without Compromise! The Next Level of Performance! Subscribe to our RSS feed, like us on facebook, join us on The Reseller Network or view our inventory at Stock in the Channel. With a team of astute specialists at our head office in Bournemouth we're easy to talk to, give us a call, or click the link below for other contact options. This website and its contents are owned by Platinum Components Ltd, Richmond House, Bournemouth, BH1 1DA, UK.